The Merriam-Webster Dictionary describes "aging" as a "gradual change in an organism that leads to increased risk of weakness, disease and death," a definition that accurately reflects cultural attitudes. But the 15 current members of the Burlington-based Bryce Dance Company — whose ages range from early twenties to mid-sixties — beg to differ. To You, Around You, About You, a show about aging and caregiving, will have its penultimate performance this weekend at the Spotlight on Dance theater in South Burlington. When the curtain rises, founder and choreographer Heather Bryce will appear onstage and recite that definition aloud. Then, in a movement piece that she admits has been "disturbing" to past audiences, her dancers will give physical and verbal form to the process of decay the dictionary definition implies. "That's how it starts, and it's real," says Bryce, a professional dancer and Flynn Center for the Performing Arts teaching artist with an MFA from Goddard College, who volunteers at a hospice in her spare time. Bryce choreographed the piece with collaborator Kayla West, a nurse practitioner. Their intimate knowledge of aging and dying led them to incorporate uncomfortably authentic details into the piece, such as the wordless noises that dementia patients can utter. "I think there's this reaction, like, 'Whoa, wait a minute, what are they doing here?'" Bryce says. But the piece evolves as the ensemble shifts the dance to reflect a more holistic interpretation of aging, which the company developed during workshops. (Part of that new definition — "gradual change in an organism that leads to increased wisdom, awareness and perspective" — appears as text on a video screen.) The show's other sections explore different words pertinent to the aging process, including "memory," "hope," "health," "illness" and "transition." The performance at Spotlight this weekend is the most recent incarnation of Bryce's work. It's been evolving since January 2013, when a close friend of hers passed away after a two-year struggle with brain cancer. "Over that time period, I just knew that I needed to do something with that experience, with what I was feeling," she says. "For me it was really important to just do something with that, to open up dialogue." Over a year, Bryce's company has turned To You, Around You, About You into a poignant and unconventional show that explores aging far beyond the notion of physical deterioration. Spliced into larger ensemble dances are several intimate and gorgeously performed duets, in which pairs of dancers embody dependency, dignity and agency. A video piece and an original score by New Hampshire composer Jason Beaudreau add to the show without distracting from the dancers. Contemporary dance, Bryce believes, is a particularly apt medium through which to start a dialogue about aging, since typical depictions of the process are so hung up on physical depletion. And, perhaps unusually for a contemporary dance choreographer, Bryce strives to imbue her work with a social-change component. In that same vein, her next project will be an on-site performance in a Vermont town that was flooded during Tropical Storm Irene, exploring ideas of home, displacement and natural disaster. "We want to go into the community, dig up stories and then relate that to the movement as well, and really look at what it means to be displaced, what it means to experience disaster," Bryce says. In planning the project that would become To You, Around You, About You, Bryce conducted hours of interviews with patients in assisted-living facilities, as well as with their family members and caregivers. She and West conducted five dance workshops at several Burlington-area Cathedral Square independent living facilities between March and July 2013, and initially hoped that some of the patients could be incorporated into the piece. "I look at choreography and dance a little bit differently than most people," Bryce says. "I'm interested in what people think about different topics; I'm interested in uncovering what's really important to a community, and then making social change based on that. So how can we start to talk about these things that we don't really talk about?" Bryce and West set the choreography and then held auditions. The piece began with a company of five female dancers, the eldest of them 40; it had its first performance at the Flynn Center last August. (The company has since performed it at Goddard and Marlboro colleges.) Based on audience feedback — and because the elderly patients from the workshops could not participate for safety and liability reasons — Bryce sent out an open call for older dancers in December. Both seasoned local dancers and older individuals who were new to performing responded to her call. 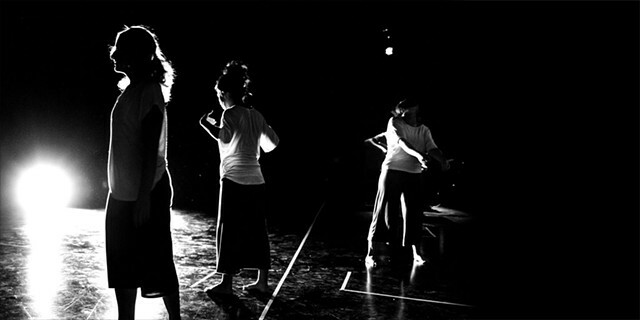 The group expanded from five members to 15, and the show itself adapted and evolved based on the unique physical abilities of each performer. Each also brought her personal experiences with aging, caregiving and illness. Some have been caretakers, coping with family members who have illnesses such as schizoaffective disorders, Alzheimer's disease and dementia. Many have experienced the loss of a family member. Ultimately, Bryce suggests, the point of the show is to open a dialogue, and just about anyone can relate. After all, everyone is growing older. "It's really helpful to know you're not alone in your struggle, and my hope is that art can help impact society," says sixtysomething dancer Sharyl Green. "It's not something we have to talk away; we really can express it in this medium." The hope is that the audience takes the show's redefinition of aging to heart. With a smile, Green gestures to her gray hair. "And I know this is how people see me first, but that's not who I am," she says.